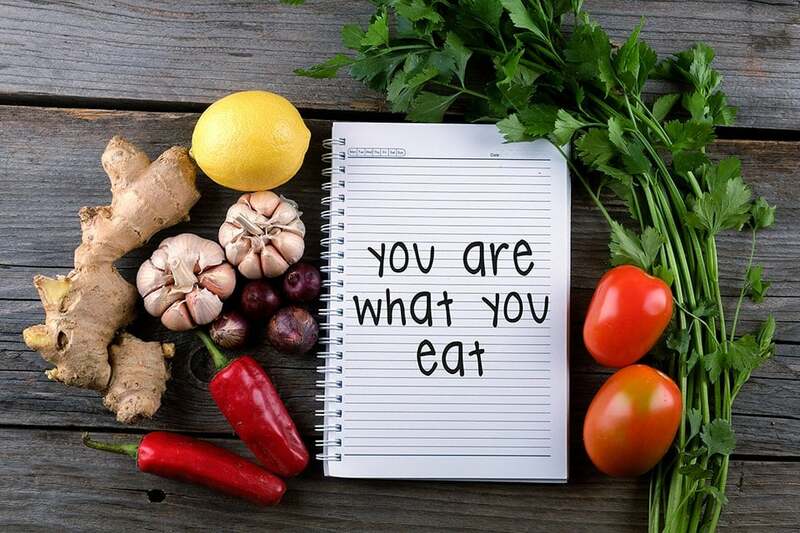 One of the possible explanations for why you are not as healthy as you could be - and by far the most important - is what you are putting into your body. The saying "You are what you eat" is literally true.If you want your body to perform at a peak level, make sure you are giving it good quality material to work with. Controlling portion size Use smaller plates to control portion sizes.Don't clean your plate or bowl if you're full, instead save leftovers for tomorrow's lunch.Portion sizes depend on the age, gender, and activity level of the individual. Make half your plate fruits and vegetables. Choose red, orange, and dark-green vegetables like tomatoes, sweet potatoes, and broccoli, along with other vegetables for your meals. Add fruit to meals as part of main or side dishes or as dessert. The more colorful you make your plate, the more likely you are to get the vitamins, minerals, and fiber your body needs to be healthy. Choose a variety of lean protein foods. Meat, poultry, seafood, dry beans or peas, eggs, nuts, and seeds are considered part of the protein foods group. Select leaner cuts of ground beef (where the label says 90% lean or higher), turkey breast, or chicken breast. Drink water instead of sugary drinks. Cut calories by drinking water or unsweetened beverages. Soda, energy drinks, and sports drinks are a major source of added sugar and calories in American diets. Try adding a slice of lemon, lime, or watermelon or a splash of 100% juice to your glass of water if you want some flavor. Avoid Too Much Sugar Sugars are simple carbohydrates. Dietary carbohydrates also include starch and fiber, which are complex carbohydrates. During digestion all carbohydrates except fiber break down into sugars. Sugars and starches occur naturally in many foods that supply other nutrients. Examples of these foods include milk, fruits, some vegetables, breads, cereals, beans, and grains. Some sugars are used as natural preservatives, thickeners, and baking aids in food. The body cannot tell the difference between naturally occurring and added sugars because they are identical chemically. Because maintaining a nutritious diet and a healthy weight is very important, sugars should be used in moderation by most healthy people and sparingly by people with low-calorie needs. Avoid Too Much Sodium Sodium occurs naturally in foods, usually in small amounts. One form of sodium is sodium chloride, commonly known as table salt. In the body, sodium plays an essential role in regulation of fluids and blood pressure. Most evidence suggests that many people at risk for high blood pressure reduce their chances of developing this condition by consuming less salt or sodium. Some questions remain, partly because other factors may interact with sodium to affect blood pressure.